KCK King Day event Monday will collect canned goods for needy and award scholarships to students – Welcome to Wyandotte Daily! The Rev. Dr. Robert Smith Jr. The Kansas City, Kansas, Martin Luther King Jr. Day celebration will be at 11 a.m. Monday, Jan. 21, at the Jack Reardon Convention Center, 5th and Minnesota Avenue, Kansas City, Kansas. Pre-service events will begin at 10:30 a.m. Jan. 21. The event will collect canned goods and also will award scholarships to students. The celebration is open to the public. The guest speaker will be the Rev. Dr. Robert Smith Jr., a professor from Samford University, Beeson Divinity School, Birmingham, Alabama. Monday, Jan. 21, will be a local, state and federal holiday to honor the legacy of Dr. King. Dr. Smith is a professor of preaching at Samford University. 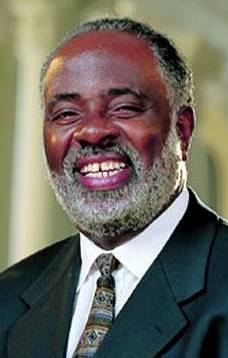 An ordained Baptist minister, he served as pastor of the New Mission Missionary Baptist Church in Cincinnati, Ohio, for 20 years. He holds degree from Southern Baptist Theological Seminary, Louisville, Kentucky; Temple Community Bible College, Cincinnati, Ohio; and Newburgh Theological Seminary, Newburgh, Indiana. Dr. Smith has been named the 2017 E.K. Bailey Expository Preaching Conference Living Legend. He has spoken at more than 130 universities, colleges and seminaries in the United States, Great Britain, Middle East, Africa, Australia, New Zealand and the Caribbean. His research interests are the place of passion in preaching, the literary history of African-American preaching, Christological preaching, and theologies of preaching. Those attending the celebration Monday are encouraged to bring canned goods, with contributions donated to food pantries. A large Mass Choir is forming to provide music for the event. For more information on the choir, contact Alicia Saunders at ssaundersong@aol.com. This year there are plans for a theater-trailer live production from “The Underground,” which will be performed at the Kauffman Center. This may be a 5-to-7-minute interpretation. In addition, 30 graduating high school seniors who have exemplified Dr. King’s dreams will receive the Rev. C.E. Taylor-Dr. Martin Luther King Jr. Scholarship. Scholarship donations may be made online at https://gkccf.kimbia.com/king01. It will be the first time since the event was held that there will not be a motorcade in connection with the King Day celebration here, according to Clarence Small. There has not been as much interest in the motorcade in recent years. Canned goods are still being collected and may be brought to the event at the Reardon Center.